Mr. Harris was flawless. 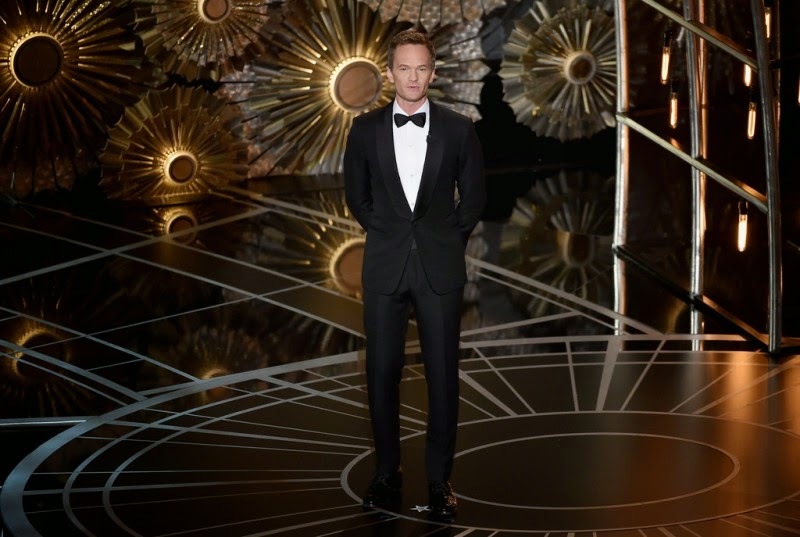 Every single tuxedo (he used 5) was tailored to well... perfection (the word of the day). 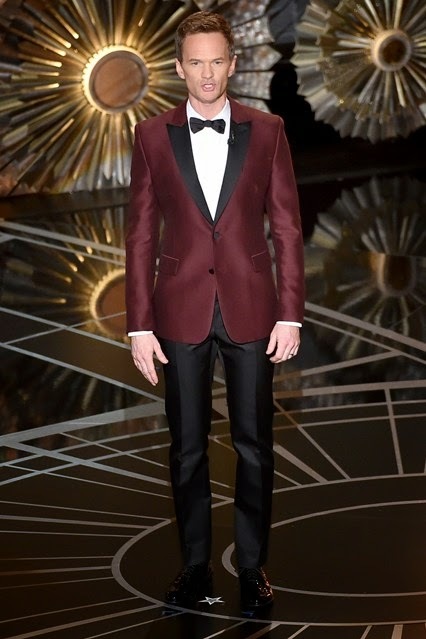 My favorite was the winner of the night, Mr. Eddie Redmayne (All Hail the europeans! ), but there were a few gentleman that also looked immaculate (google is helping me with the synonyms). Without further delay or small talk, here are my choosen ones. 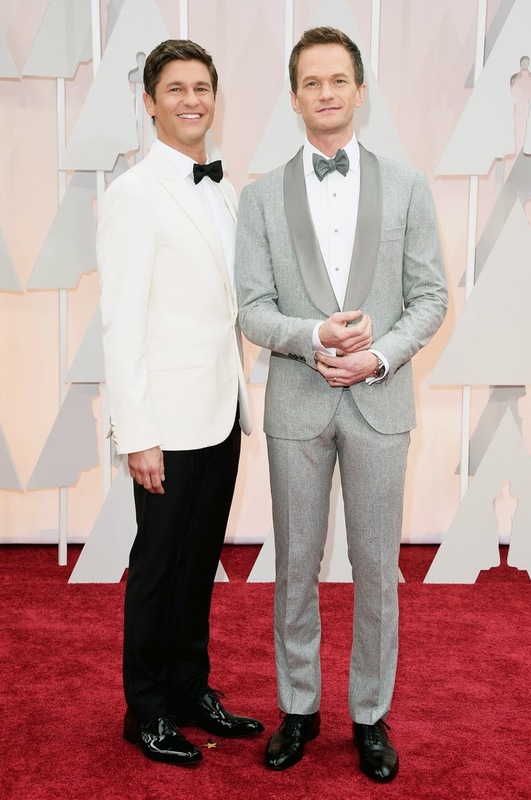 Neil Patrick Harris in Brunello Cucinelli and David Burtka in Calvin Klein Collection. 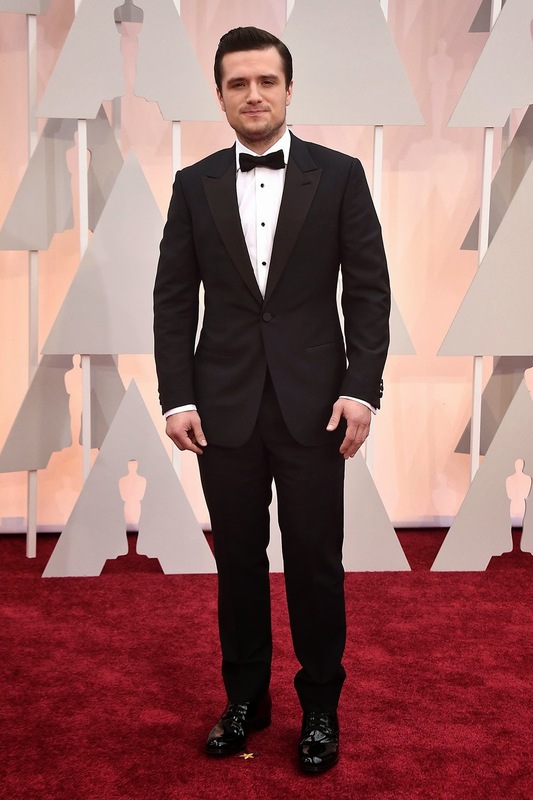 Matt McGorry wearing Brooks Brothers. Chris Pine is wearing a dress set by Fred Leighton and a David Yurman pinky ring. 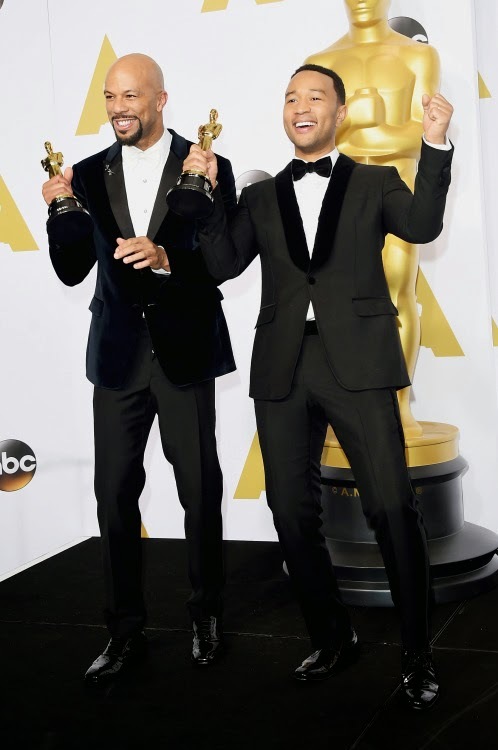 Common is wearing Prada and John Legend is wearing Gucci. 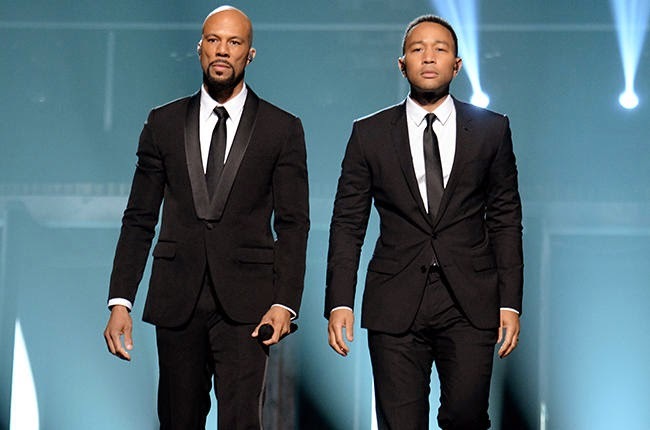 Common and John Legend, again, wearing, hmmmm... suits. 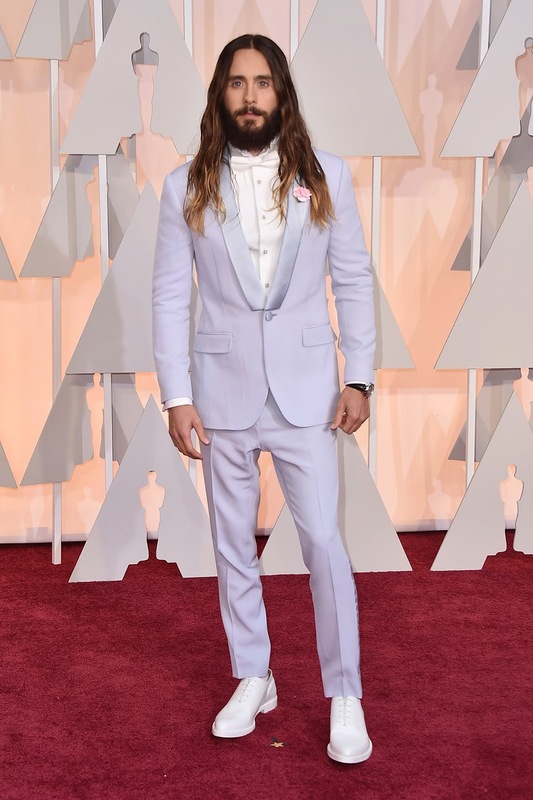 Jared leto was daring and the whitest, I mean the brightest, in Givenchy. 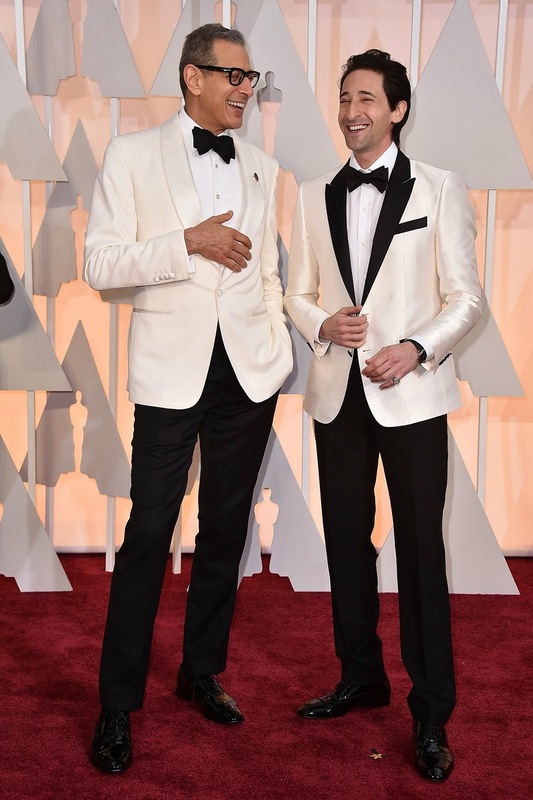 Jeff Goldblum in Dolce & Gabbana (forget the dude on the right with the shiny jacket and bad tailored dress pants). John again, because his wife. Neil showing us how to DB. 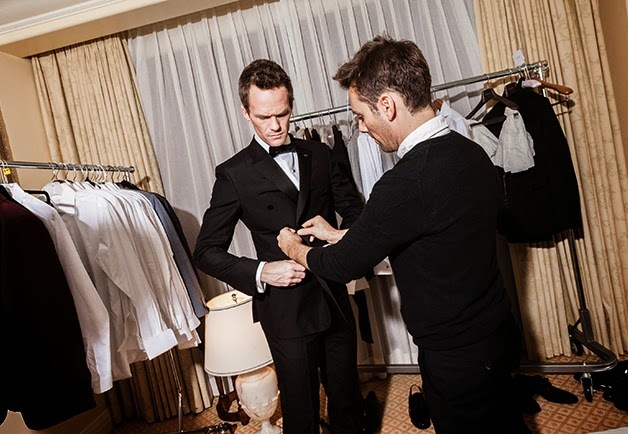 Neil showing us how a black tuxedo (this one is Dunhill) should fit. 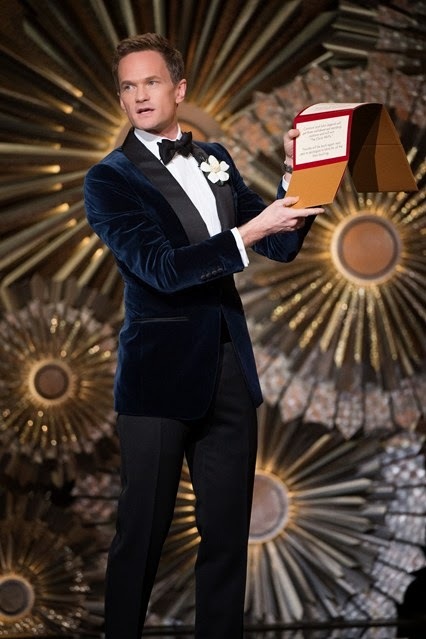 Ryan Seacrest wearing a fantastic black tuxedo that some (very) expensive brand gave him for free. The best dressed couple: Adam Levine with the gorgeous Behati. Both in Armani. 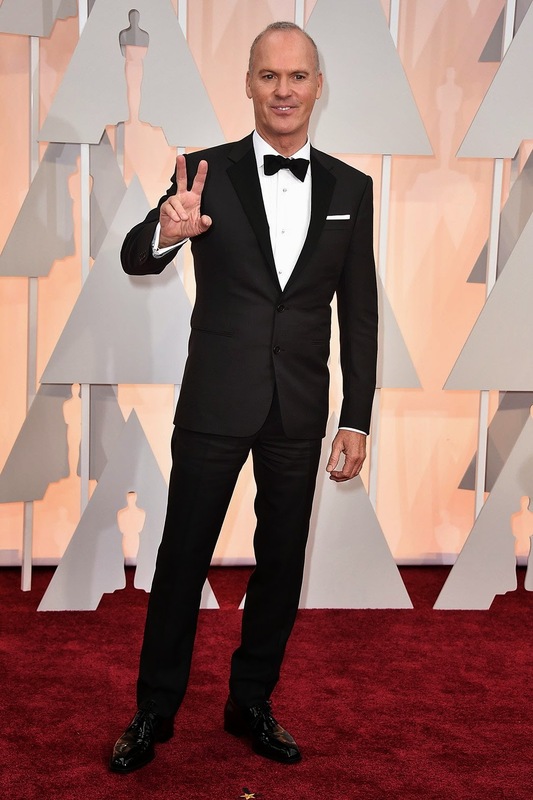 Justin Theroux in Dolce & Gabbana. And we can't forget the ladies. My favorite: Emma Stone in Elie Saab. Dakota Johnson in a one-shoulder Saint Laurent gown and Forevermark diamonds.. Arm Candy: Cartier Love Bracelet. Disclaimer: The pictures that I post are usually not mine. I thank google.. Simple theme. Powered by Blogger.